William WOODCOCK Sr. (1586 – 1638) was Alex’s 10th Great Grandfather, one of 2,048 in this generation of the Shaw line. William Woodcock was born 1586 in London, Middlesex, England. He was the son of William WOODCOCK . He married Alice WASHBURNE. William died 12 Oct 1638 in London, England. Rehoboth, Mass 17 Oct 1703 in Attleboro, Mass. the family tradition is that “three brothers Woodcock came to this country from England about the middle of the 17th century, and settled at Attleboro. They were evidently men with some ready capital. The manuscript records at Attleboro, give a history of John Woodcock, and the proprietor’s records of Rehoboth mention a William, and a Thomas Woodcock appears in Boston in 1674 as a citizen. John was baptized on 20 Jul 1627 at Saint Antholin Budge Row, London, London, England and it shows his parents as William and Alis “Alice” Woodcock. The baptism records for his siblings are located at the same Saint Antholin Parrish. John immigrated 20 Mar 1635/36 , with the Hull Company and is recorded as a husbandman aged 34, from Broadway, Co Somerset. “Bound for New England, Waimouth, ye 20th of March, 1635, John Woodcock from Dorset–2.” He was the only one of that surname among the list of passengers there recorded. He was evidently a lone adventurer starting for the New World. We are led to believe that he was at the time of sailing about 22 yrs. of age. After John died, his second wife, Joanna [__?__] married James Fowler, at Attleboro. John Woodcock and family established a small settlement in North Attleborough in 1669, which subsisted on agriculture, fishing and hunting. By 1670, Woodcock had received a license to open a tavern. The settlement was attacked during King Philip’s War, with two killed and one home burned, but the garrison house which Woodcock had built survived the attack. The Woodcock-Garrison house was used as sleeping quarters for George Washington on his army’s march to Boston to rid the city of General Thomas Gage’s troops. The Garrison house is still open for tours and is an especially popular destination for field trips by local school children. There is some doubt whether the John Woodcock in Roxbury in the 1630’s and 1640’s is the same person who built the first garrison house in North Attleborough in 1669. Some doubt the connection because the early John was a rough character. The Roxbury records were destroyed by fire in 1652. William Pynchon, Founder of Roxbury and Springfield, Mass. It seems quite probable that the John Woodcock here mentioned is the emigrant that left Waymouth on the 20th of March, 1635. 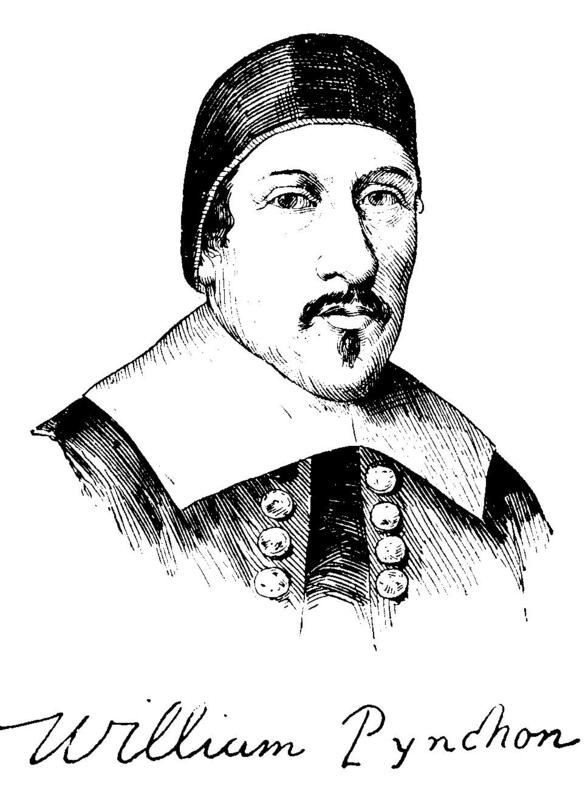 That he was identical with John Woodcock of Rehoboth, the first American ancestor of the Woodcocks of Eastern Mass., is a question that has not been settled. In comparing the histories of Woodcock of Springfield and Woodcock of Rehoboth a difference will be noted in the temperament and capabilities of the two men. 14 Nov 1639 – “A meetinge to order some towne affairs and to try causes by jury. The Jury–Henry Smith, Henry Gregory, Jo Leonard, Jo Searles, Samuel Hubbard, Samuel Wright. The Action–John Woodcock complains against Jo Cabel in an action of the case for wages due to him for certaine work he did to a house that was built in Agauam side for the plantation. Then follows two suits of Woodcock vs. Gregory about a pigge and hogge. These trials are dated Feb., 1640, and Sept., 1640. 15 Feb 1641 – Robert Ashley complained of Woodcock for not delivering a gunn that the plaintiffe had purchased of him. Jan 5th, 1642. In a 2nd division of plantinge ground single pfsons are to have 8 rods in bredth maryed pfsons 10 rod in bredth, bigger familys 12 rod, to begin upward at ye edge of ye hill. John Woodcock 8 rod in bredth. This shows Woodcock to have been a man with no family. His name does not appear again on the records of Springfield after Jan. 5th, 1642. Francis Ball is referred to as the owner of this lot (first occupied by Woodcock) in a report on the town records made in Feb., 1644. Woodcock built his house in 1669 and was licensed the following year to open a public house or tavern. He was warned to “keep good order” and that “no unruliness or ribaldry be permitted there.” Woodcock’s house was just one of several “garrison houses” built for protection against possible Indian attacks. 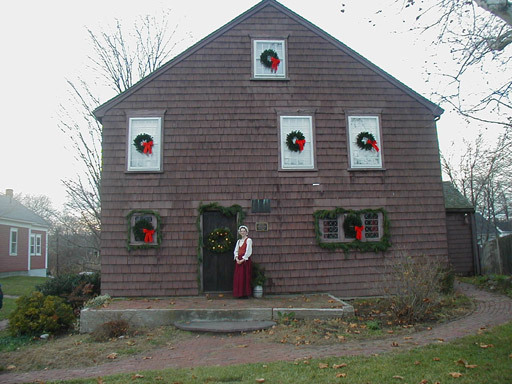 Similar “garrison houses” were located in settlements such as Dedham, Seekonk and Swansea. In a cruel twist of fate, Woodcock’s “garrison house” failed to offer protection for a member of his own family. In April 1676, during King Philip’s War, Woodcock’s son, Nathaniel, was killed by Indians while working in a nearby corn field. The Indians cut off Nathaniel’s head and stuck it on a pole in front of the house. Nathaniel Woodcock was buried where he fell, and his grave is now in the center of what would become the Woodcock Cemetery. Here is a Google Maps view, though the oldest existing headstone is dated 1755 and there are no Woodcock stones remaining. The Council being informed that the Indians are skulking to and again about Wrentham, Woodcocks (or Mount Hope) and having done mischief to the English. It is ordered that the Major of Suffolk issue out his orders forthwith for such a party as he judgeth is fit and necessary to repair to Dedham on 2nd day next early and range the woods to and again for the disarming, destroying and distressing of the enemy, wherever they find them, committing the conduct of that party to whome it seems mete. Ordering that each soldier be completely armed with firearms and ammunition, and provisions for four days. Past by the Council. “Ordered to take 20 of his troops with such officers as he may choose, and an officer and ten troopers of Lieut. Haley’s troupe, and march to Dedham, where are ordered to be an officer and eighteen foot soldiers mounted from Dorchester, 6 from Roxbury and 24 from Dedham, with an officer. All appointed to be at Dedham, the rendezvous, this day at 4 p. m. S. C.
“July 5th, 1670. John Woodcock is allowed by the Court to keep an Ordinary at the ten mile river (so called) which is in the way from Rehoboth to the Bay ; and likewise enjoined to keep good order, that no unruliness or ribaldry be permitted there.”—Old Col. Rec. John’s name first appears in the Rehoboth records ” the 28th 4th mo. 1647,” when he bought the lands of Ed. Patterson. ” The town gave to John Woodcock the lot before granted to Edward Pateson.” He also had a grant of land in May, 1662, for a small house near the church for ” the Lord’s day,” and he was living in Rehoboth as early as July 28, 1662 — probably for sometime previous — though the precise date of his settling there cannot be ascertained. He came there from Roxbury, where he owned real estate, but where he had previously lived is not known. John was admitted a freeman of that town May 14, 1673. Woodcock was a man of some consideration in those days, his name frequently appearing in town offices and on committees. June 2, 1691, he was chosen ” Deputy to the General Court” from Rehoboth, and at several other times. ” 1654 John Woodcock of Rehoboth, for going into an Indian house and taking away an Indian child and some goods in lien of a debt the Indian owed him, was sentenced to set in the stocks at Rehoboth an hour on a Training day, and to pay a fine of forty shillings.”—Old Col. Rec, Court Orders, Book 3d. John Woodcock, Sen., died October 20, 1701, having arrived at a very advanced age in spite of the many attempts which had been made by the Indians to destroy him. It is said that after his death the scars of seven bullet holes were counted on his body. He was an inveterate and implacable enemy to the Indians — the cause of which will hereafter appear in the notice of some events in Philip’s war. In encounters with them, on several occasions, he ran imminent risks of his life. He was foremost in all enterprises the object of which was the destruction of the Indians. He was a very useful man as a pioneer in the dangers and hardships of a new settlement, being cunning in contrivance and bold and active in execution. Woodcock’s Garrison was a well-known place of rendezvous in the great Indian war, and was probably for some years the only house, excepting its immediate neighbors, on the ” Bay Road,” between Rehoboth and Dedham, though this was then the main road from Rhode Island, Bristol, and Rehoboth to Boston. The Bay road extended first from Rehoboth through what is now ” the city,” to West Attleborough, north to Woodcock’s, thence over Ten Mile hill to Jacob Shepardsou’s in what is now Foxborough, thence through Dedham and Roxbury to Boston. This ” Garrison” was one in a chain of fortifications extending from Boston to Rhode Island. There was one in Boston, one in Dedham at Ames’ corner, Woodcock’s in this place, one at Rehoboth. situated in the centre of the ” Great Plain,” on the borders of which the first settlements were principally located, another at Newport on the Island, and perhaps others in the intermediate spaces. It was a famous place on this road — a convenient public house for travelers as well as a well-known station in Philip’s war. It witnessed many a military force on its march to the defence of the colonists, and such often halted and encamped there on their route overnight, and sometimes longer while waiting for additional forces. Companies were sometimes ordered to rendezvous there to wait the arrival of other troops who were to accompany them, and then the solitary places of the wilderness were enlivened by the tread of armed men and the sounds of martial music. In the course of the day he arrived at the rendezvous at Woodcock’s, with a company of one hundred and ten men, volunteers, amongst whom were ten or twelve privateersmen with dogs. This must have been a stirring scene in the lonely situation at Woodcock’s. On the second day they reached Swansey. On the Narragansett Expedition which was appointed for the next December, the three colonies of Plymouth, Connecticut, and Massachusetts united in furnishing military forces to be under the command of Josias Winslow, of Plymouth, as general. Here again Woodcock’s was a place of rendezvous for the Massachusetts portion of the army. Her force consisted of six companies under the command of Captains Mosely, Gardiner, Davenport, Oliver, Johnson, and Major Appleton, who commanded this portion of the force, and who, on the ” 9th Dec. 1676 marched with them from Dedham to Woodcock’s, the wellknown place of rendezvous, 30 miles from Boston, and there encamped for the night.” His companies numbered four hundred and sixty-five foot, and one company of horse under command of Captain Prentice, so that the whole number must have been over five hundred. This was a large army for the infant colony of Massachusetts forty-six years only after the settlement at Boston. They marched over the ” Oulde Bay Road.” Here they rested, and then marched on to Seekonk, where they met the army of Plymouth Colony, under General Winslow, and where the two forces were united and moved on their way to the great Narragansett fight. These same forces must have rendezvoused at Woodcock’s on their return. While armies in their marches halted there and great men of the colonies in their travels stopped there, this house is often mentioned by historians. The celebrated Judge Sewall relates in his ” Diary” that on his return from Rehoboth he dined at Woodcock’s with fellow travelers on boiled venison, which was probably just such a dinner as they chose in those days, and would not be unacceptable at the present time. This ” Oulde Bay Road ” was the first main road laid out in this part of the country, and all travel would necessarily pass by this ” Ordinary ” in those early days, which might be called the dawn of the New England life and civilization. It is a delight to go back in imagination and view the landscape that surrounded the traveler, and the novel scenes of early colonial life. Mile after mile of almost trackless woods filled with bears, deer, and the other denizens of the forest, with here and there a gleaming lake or sparkling river glinting in the sunlight; the plodding wayfarer on foot with his heavy staff; the rider on horseback clad in the quaint costume of the time; and anon, a little opening in the wilderness with a single log house or a small cluster of rude buildings, where rest and refreshment could be obtained for man and beast. As one traveler dismounts, or another wearily shifts his heavy burden to the bench by the open door, we can see the dwellers of the hamlet slowly gathering one by one to hear the news from the outside world, a faint echo of whose events just reaches these secluded places; or the women collecting about the pedlar to hear the latest fashions of the towns described, and to barter for some of the contents of the pack by his side. Woodcock had a large family, with a number of laborers and assistants; there must have been fully fourteen in the entire family. He had a smith on his place, barns, a garrison house of large size, sons’ houses, etc., so that his place made quite an opening in the forest and furnished social relief to the lonely and weary journeyers. There was on such a route more travel than one would at first suppose, for emigrants were from time to time going from town to town and settlement to settlement, seeking eligible situations or locations, and messengers on business matters or the municipal and military affairs of the colonies must have frequently passed to and fro. Some historian has described these Sabbath day houses as follows: “A Sabbath day house was a hut in one end of which horses might be sheltered, and in the other end was a room having a fireplace, and furnished perhaps with a bench, a few chairs and a table. Here the owner arrived soon after the first drum, and if cold, kindled a fire. Here they deposited their lunch and any wraps that might be superfluous in the meeting house. Hither they came to spend the intermission of worship. When John Woodcock built the Garrison house at Ten Mile river, he was eleven miles from the Rehoboth church, and only two miles from Wrentham. In the petition to the General court for authority to incorporate the town of Attleboro in 1694, the committee, of whom John Woodcock was chairman, mention was made of the inconvenience of going so far to Rehoboth to worship God, especially in stormy weather. As we have seen, he formerly had a house at Rehoboth for a similar purpose. From this and other records it appears that Woodcock and his family were very attentive to public worship. Woodcock laid out the ancient burying-ground near his house. In the above-mentioned conveyance is the following reservation : ” Except a small parcel of at least six rods square or the contents thereof, for a burying place, in which my wife and several of my children and neighbors are interred, with liberty for my children and neighbors to come upon and make use therof forever as occasion may be. ii. Sarah Woodcock b. ca 1646 Rehoboth; d. 29 Nov 1726; m. 11 May 1663 in Concord, MA to Thomas Estabrook, son of Joseph Estabrook & Anna Brainard, Born ca 1643. Thomas died on 28 Jan 1720/1 in Concord, MA. iii. John Woodcock b. ca 1649 Roxbury, Mass; d. 10 Jul 1718 Dedham, Mass; Brothers John and Israel married their wives on the same day. On 21 Feb 1672/73 John first married Sarah Smith, daughter of Francis Smith (-12 Aug 1690) & Elizabeth [__?__], in Rehoboth, MA. Born on 5 May 1655 in Boston, MA. Sarah died in Swansea, MA, on 16 May 1676; she was 21. On 5 Nov 1682 in Dedham, Mass, John second married Sarah Judson, M Sary, the Daughter of Samuell Judson & Mary his wife, was borne ye 34 of the 5 mo. 1651. Sarah died in Dedham, MA, on 18 Mar 1717/18; she was 66.
iv. Israel Woodcock b. ca 1652; d. 10 Jul 1718; On 5 Nov 1682 Israel married Elizabeth Getchell in Dedham, MA. Israel Woodcock & Elizabeth Gatchel was married the 5:9:82.
v. Mary Woodcock b. 9 Mar 1650/1 Roxbury, Mass; d. aft 1697 Medford, Mass; On 29 Nov 1676 when Mary was 25, she married Samuel Guild, son of John Guild & Elizabeth Crook, in Dedham, MA. Samuell Guild & Mary Woodcock married the 29th 9th 1676. Born on 7 Nov 1647 in Dedham, MA. Samuell, the Son of John & Elizabeth Guild, was borne the 7 of the 9 mo. 1647. Samuel died in Medfield, MA, on 1 Jan 1729/30; he was 82.
vii. Nathaniel Woodcock b. ca 1660, Roxbury; d. 28 Apr 1676 Attleboro; Killed by Indians while working in a nearby corn field. The Indians cut off Nathaniel’s head and stuck it on a pole in front of the house. Nathaniel Woodcock was buried where he fell, and his grave is now in the center of what would become the Woodcock Cemetery. viii. Deborah Woodcock b. ca 1663 Roxbury; d. 23 Mar 1717/8 Dedham; m. 23 May 1683 in Dedham, Mass to Benjamin Onion. Benjamin died ca 1719. This entry was posted in 12th Generation, Historical Site, Line - Shaw, Public Office, Tavern Keeper, Violent Death and tagged George Washington Slept Here, No unruliness or ribaldry be permitted, Sabbath Day House. Bookmark the permalink. 11 Responses to William Woodcock Sr.
Thomas Wilmarth is a direct descendant of a man with an hearing impairment, Ted Cochran. Cochran was cremated. 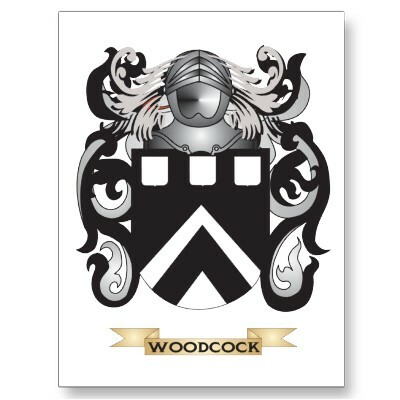 I am a descendant of John Woodcock so I found this very interesting. However I am unable to find any reliable souce for John being the son of William Woodcock. Where did this come from? I dont see any journal articles or books that say this. (People’s databases or Ancestral File etc don’t count as sources since they tend to be full of errors). Also, Robert Charles Anderson (The Great Migration) doesn’t say that the John who came in 1635 was the same man as “our” John Woodcock. He doesn’t say it is impossible, just that there is no convincing evidence. Thanks Sheryl. I made the update. Hello,I read your blogs named “William Woodcock Sr. | Miner Descent” like every week.Your humoristic style is witty, keep it up! And you can look our website about powerful love spells.